Whether you're reminding younger students of what to do in various situations or working with teens to create a 'safety contract' to help solidify the lessons they've already learned, the back-to-school season is the perfect time to review safety procedures and lessons with kids. Use worksheets so parents can see what their kids are learning in class and help reiterate those important safety lessons at home. To use any of the printables embedded in this article, click on the image to open and print the worksheet. For more instructions and help on using Adobe printables, see this guide. Print the booklet double-sided and fold in half. Alternatively, you can print the book on two pieces of paper, cut each page in half and have extra room for student response. 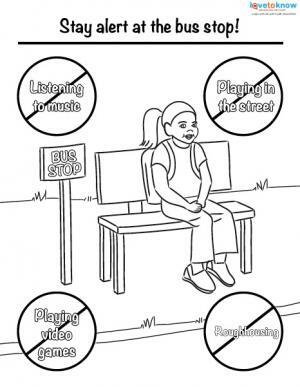 Have students color each picture as you go through important reminders that are depicted. Send the booklet home with students so parents can hang it on the fridge and use to remind their students of the important information in the booklet. 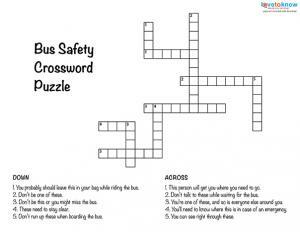 Click to print the safety booklet. 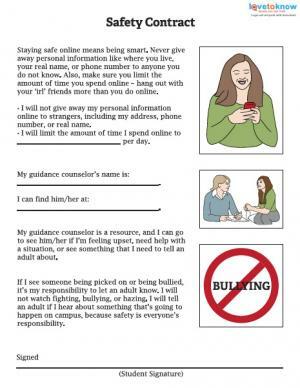 Present the information to your class regarding online safety, personal safety and bullies. 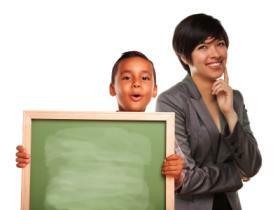 Ask kids to sign or fill out the important information as it relates to them. Encourage kids to take it seriously by asking that they not share their answers out loud. Collect the worksheets and make two copies. Pass the original back to the student, give one copy to their parents and keep one copy in your files. Use the contracts as a springboard for discussion as the year progresses, reminding them of how important it is to play it safe. Click to print the safety contract. Click to print this fun game. Click to print the crossword puzzle. Click to print this coloring page. 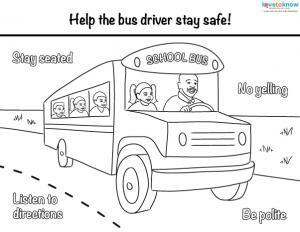 Click to print bus safety coloring page. If there is one spot in the school that has potential for danger, it's the science lab. At the beginning of the year, print the poster below and give one to each student to put in their binders. 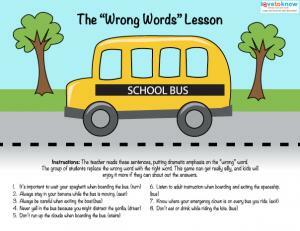 Conversely, you can enlarge it and hang it in your classroom! Click to print this poster. Pass along back to school safety tips to parents and students that focus specifically on back-to-school issues. Learn how to put together a classroom lockdown kit in the event of a natural disaster or other major emergency. Discuss the idea of a lockdown and practice a mock lockdown with your class. Hopefully, you'll never need it, but if you do, knowing what to do in a lockdown can save lives. Talk to your students about Internet safety using these savvy lesson plans. Remind students how to stay safe in the school parking lot. By taking time out early in the year to talk to kids about safety, you can help instill in them the desire to avoid accidents. After all, avoiding accidents is key to having a happy and healthy year.